It's nice having more wildlife, really makes it feel more alive. Predator spawns can be a bit too close to towns though sometimes, and they'll kill all the chickens and non-essential NPC's including Macaius. I've some comments above.. And I'm completely disagree with them.. Its not a overrated mod.. Its really a great mod.. Ya I know the lack of wildlife l. But still its a great mod.. Finally through that overhyped Haze others are now voicing what i noticed straight away. I'm not going to knock the kid who made Falskaar cos he obviously has scripting skill but landmass design and immersion was so thin on that isle. Poor mod in my opinion cos of it's lack of life. Thumbs up to you for giving it life. Couldn't agree more. IMO Falskaar is the most overrated mod for Skyrim by the users, ever. I guess a lot of players get too excited sometimes when they are going to make their comments and then say exaggerated things about a mod they are enjoying to play. 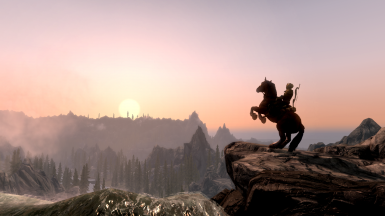 While Falskaar has its merits and it's a great mod, it has design flaws that makes travelling through that land very boring after a while, and to not be on par, and certainly not superior, to a DLC professionaly made by Bethesda. The almost complete lack of wildlife, and the complete lack of new unique flora, new creatures and so on in that island is one of the reasons for that. After I finished Falskaar's main quest and being hugely disappointed by its poor ending, after having to wait a lot of hours so Agnar's troops could catch up with me, and then its ridiculous petty reward, and then not having any new quest to restore the destroyed cities during Falskaar's bandit war (players can't even visit those cities) I have absolutely no reason to play that mod again. I can't comment on Falskaar's quality simply because I have not played it. 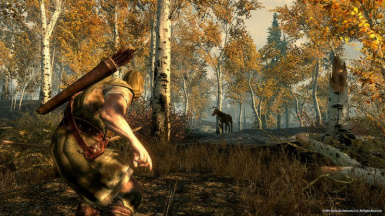 But if you're talking about Falskaar being devoid of "life" as an exception rather than the rule, then you are wearing rose-tinted glasses when you look at vanilla Skyrim DLCs. The new Dawnguard zones - especially the northwestern one (can't remember name, sorry) - is almost completely empty. It has a handful of spiders and a couple of trolls. Other than the main Dawnguard quests and really annoying and very lore-unfriendly vampire attacks (2 vampires are going to assault an entire town? really? ), there isn't much in the way of lore-friendly "clutter". Dragonborn is better in that it adds Morrowind flavour and a few new species; the new island does have its own "feel" to it, to be sure. But it is also pretty barren and empty aside from an occasional new critter. And keep in mind that modding Skyrim - especially by yourself, FOR FREE - requires a lot of time and effort. I think people's "exaggerated" impressions of a mod of this scope usually take this into account. They know that just some dude behind his keyboard did this, by himself, for nothing. Whereas Bethesda Studios (notice the name: STUDIOS) are of course expected to make professional, full DLCs. Finally, @Tinywars: Even giving your opinion the greatest benefit of the doubt, calling the person who made Falskaar a "kid" like that just makes you sound incredibly condescending. Well said Dahweed. I get whiffs of Falskaar hate on the nexus every now and then, seems really undeserved in my opinion. 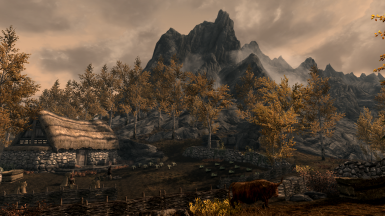 I am playing the mod right now for the first time and I am hugely impressed with the quality. The "kid" gave us a goddamn landmass with quests, talking NPC's, dungeons and lore and some of the tiny minded amongst us wanna dump on him for not adding more freakin elk and bears. See'ing as this post about a year and a few months old Im assuming youve made your own mod showing everyone how its supposed to done correct? Then again you are probably one of wheeze's team members or fanbois who think every mod made is inferior to what they can accomplish. Don't forget children roam the modding scene too. You'll understand the incompetence from some users here. Total Biscuit brought that up. Interesting thought. "Falskaar is a well-done, very polished mod... "
So critics of Falskaar should perhaps attempt to create their own comparable mod before criticizing another persons efforts. Does this work with the updated Falskaar 1.2.1final version? I'm expecting it does, no reason it shouldn't, but if anyone has noticed a problem I'd prefer not to have to restart a new playthrough to delete a mod to a mod. Will this work with Skyrim Redone? I´m a Hunter - i Love your Mod!